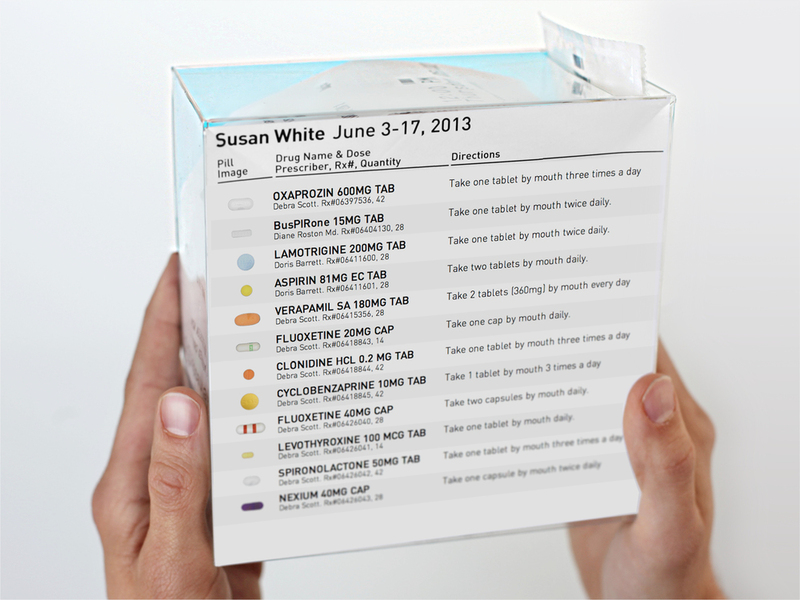 This was a mockup of a dispenser concept that integrated the mailer, graphics, pill descriptions all into one folded cardboard box. The outer layer of cardboard acts privacy device to hide private information and as sleeve to hold additional patient material. 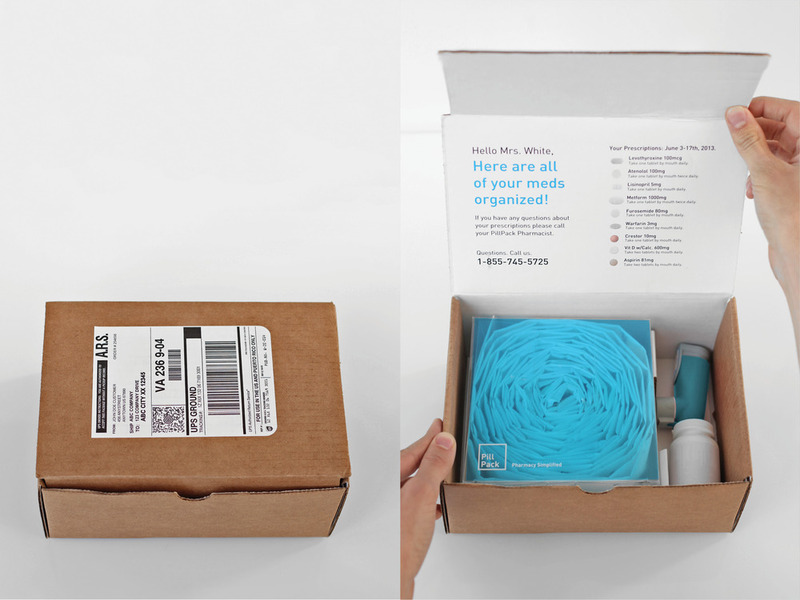 This smaller cardboard mockup is a step up from the current ziplock back. Compared to the ziplock bag this feels professional and solid. 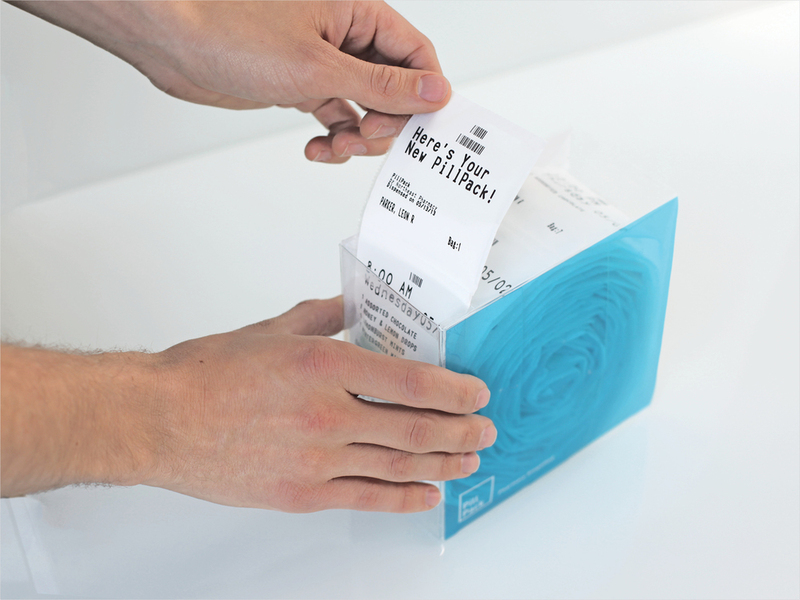 In addition there are graphics on the side to reassure and inform the patient about what pills they are taking and when they should take them. 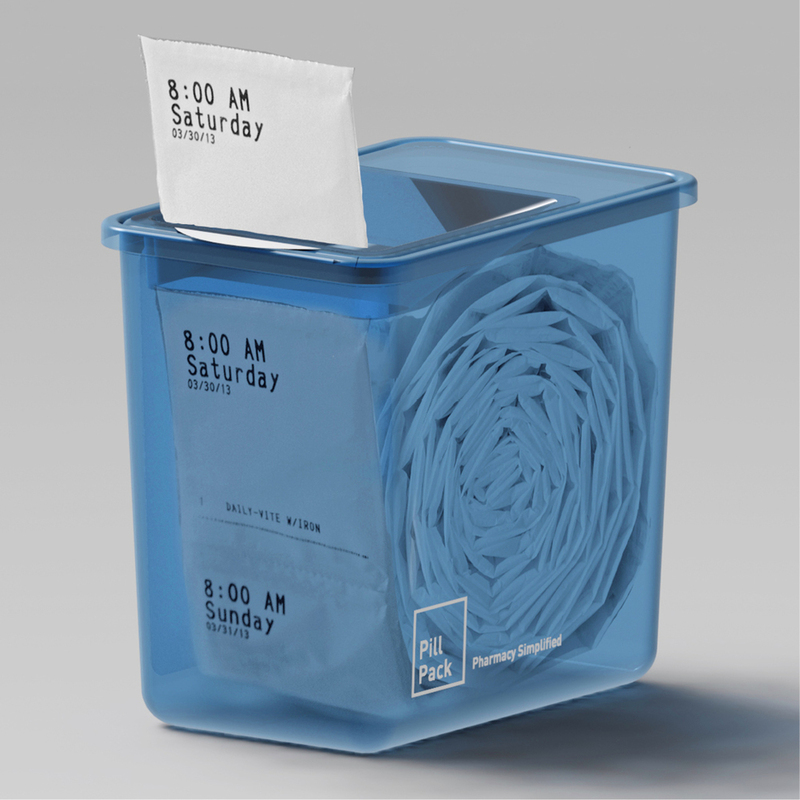 This plastic mockup allows you to see through the dispenser and gage when you are near the last packet of your roll. The final solution used a folded plastic box with transparency. 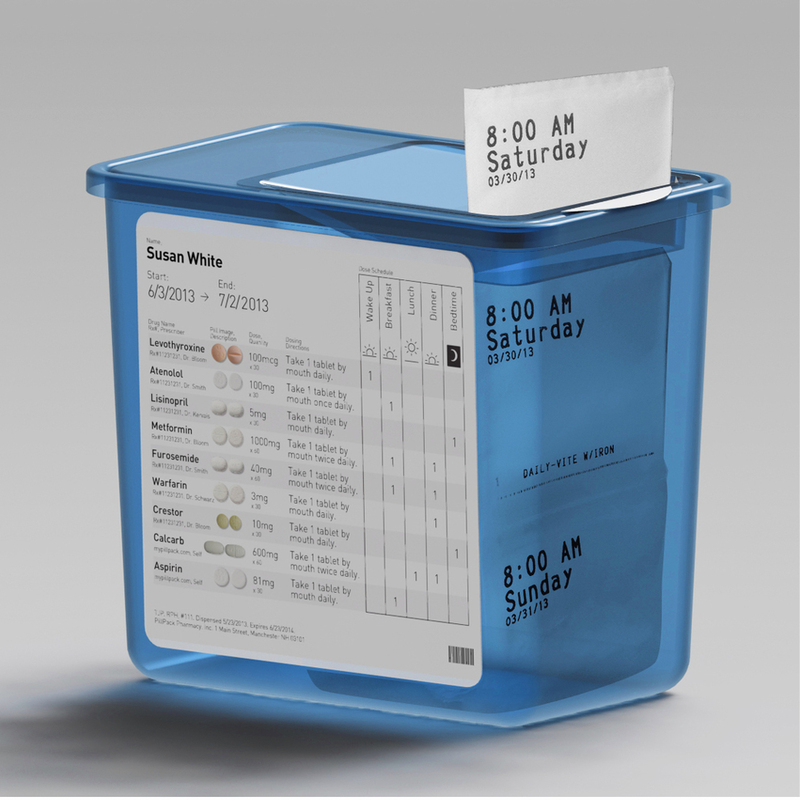 While not as ergonomically friendly as the tupperware, the box was much more economical while still maintaining the desired color, transparency, and shape.